Recent studies have shown that dementia appears up to five years later in people who speak more than one language. In fact, Professor Carol Brayne, a leading dementia expert at the University of Cambridge, explains that higher levels of education appear to protect people against developing dementia. In fact research suggests that around 30 per cent of cases in Britain could be prevented through life style changes. A recent report, on the global impact of dementia, estimates that the number of patients, suffering from the disorder worldwide, will have almost tripled by the year 2050. Speaking more than one language is thought to contribute to the build up of cognitive reserves which delay dementia symptoms. The American Association for the Advancement of Science (AAAS) annual meeting, held in Washington DC last week, shed light on how bilingualism can also help benefit a person’s mental health, by delaying brain ageing and counteracting the initial symptoms of dementia, Eurekalert reports. Professor Antonella Sorace, founder of the Bilingualism Matters Centre at the University of Edinburgh, has conducted thorough research into bilingualism across all age groups and has concluded that learning a new language should start as early as possible, even in pre-school years. Bilingualism gives children much more than a second language. It is beneficial for their future development as they become more aware of different cultures and other people. Bilingual children also tend to have better attention spans than monolingual children. However, it must be recognised that children don’t acquire language in the same way as most adults. In our early years, we learn through exploration and play. Children recognise and start to use new language when they hear it in situations where they are engaged and feel motivated to use it. By the age of 3-4 years old, children generally understand 1,000-2,000 words and are able to express about 800-1,500 of them. By the end of high school, this number increases to 40,000 to 50,000 words. 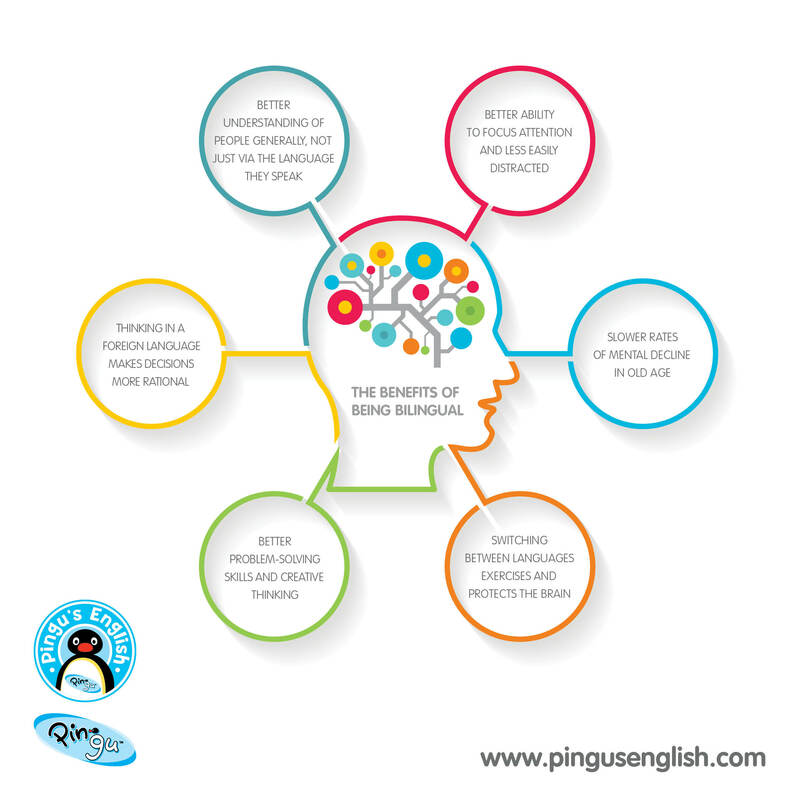 Pingu’s English is a unique method, based on a topic-based spiral syllabus that delivers useful usable language in a children’s context, without all the rules of the grammar and syntax. Certainly, at the age of 3-8+ years, children do not need to know there is a set of rules – they merely need to be encouraged to express themselves using a new set of words. Research in Canada found that bilingual children who become accustomed to switching between different languages demonstrate greater mental flexibility and cognitive control throughout their lives, which ultimately ward off decline in later life. Debora Mondella, International Brand Manager, Linguaphone Group. Pingu’s English is an exciting English language course for 3-8 year olds, based on the popular HIT Entertainment children’s TV character Pingu with pre-school franchises all over the world.